The Latin word “solium” gave birth to soil which means top layer of earth which can be cultivated or dug. These loose materials on surface of earth support plants having varying degree of fertility. The definition we provided above is based on agronomy which mainly deals with raise of corps in these materials. 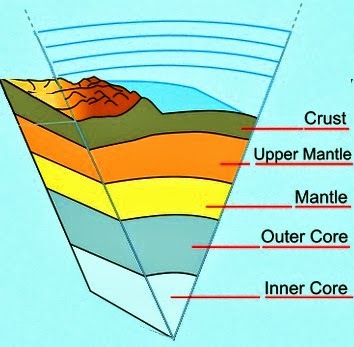 In geological definition-earth crust consists of sediments in unconsolidated form known as mentle, overlying rocks and soil is the top layer of the mentle that supports plants. Soil is unconsolidated materials that consist of solids generated from disintegration of different types of rocks. There have void spaces between solid particles. This voids may contain water, air or sometimes both (in partially saturated soil). Organic content is also found in solid content. The materials that consists mentles(in geology) is called soil in the soil engineering. Rocks are hard materials that can’t be dug requiring drilling or blasting to remove from its parent positions. The hardness is believed to have from permanent and strong cohesive forces between particles remaining in them. As the terms strong and weak have varying demarcation, differentiating soil from rock is also rather arbitrary. In case of intake rock that is not disintegrated to any degree (very rare) the boundary between soil and rock can be interpreted easily. But when we are concerned with a rock that is disintegrated partially by many agents of manmade or natural sources, it is very difficult to differentiate soil from rock.